Journal of Financial Service Professionals: Bimonthly issues of the award-winning Journal of Financial Service Professionals features groundbreaking articles and research in all areas of financial services—a $90 value! View the current issue Table of Contents. Audio Conferences/Webinars/Podcasts: Online Archived Audio Conferences offer education 24/7 focused on cutting-edge concepts presented by qualified experts in their field. Members receive one archived audio conference free with membership and have the option to view others or participate in live programs at discounted member prices. Video Teleconferences: Two-hour continuing education programs offered by Chapters several times a year on topics pertinent to your business. Lunch/Brunch Conversation Series: Top experts join members to discuss cutting edge topics and issues of the day—free with membership. Professional Development and Continuing Education Programs: Almost all FSP programs offer CE credit for Insurance (CIE), CFP®, CLE, CPE, PACE, and ICB. Opportunities to Lead: Gain leadership skills and experience by volunteering to serve at the local or national level. Research Capability and Online Library: Search and research capabilities via an electronic information retrieval service for all Society publications. Professional Interest Sections: Nine Professional Interest Sections to choose from, one Professional Interest Section included free with your FSP membership. 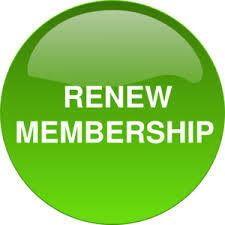 Customize your membership benefits to bring targeted information on topics relevant to your practice specialty. Each Section features its own newsletter, continuing education opportunities, and eDiscussion Groups. FSP NewsBrief A weekly automatically delivered to your e-mail inbox every week. This online newsletter will keep you informed of the top news and developments of the industry. Online eDiscussion Groups: FSP e-mail discussion groups connect you with peers and experts from across the country. These online forums enable you to discuss technical concepts, exchange practice management ideas, give and get opinions or insight on new planning techniques or hot industry topics—even help those who may need a trusted referral for relative or friend in another part of the country. 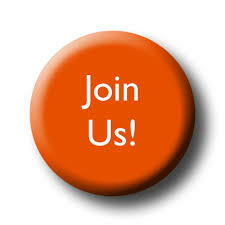 There are nine eGroups to choose from, one for each Professional Interest Section. Local Chapter and National Education and Networking Events: Meet your peers, develop life-long connections and grow your business through networking and educational events. National meetings include the prestigious Arizona Institute among others and over 160 local Chapters nationwide feature informative meetings, camaraderie and educational opportunities. Contact and view Web sites of FSP local chapters. Consumer Referral Service: Members can opt into our member referral service and listing for consumers. Through this service you can register your practice specialty, products offered, and markets served to receive leads from the media and consumers. Client education and support tools, vendor discounts on E & O insurance, practice management tools, software, office supplies, shipping services, and much more! Use of FSP Member Logos: Promote your membership in the Society of FSP to your clients to set yourself and your business apart!